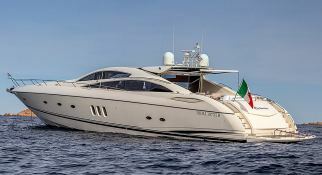 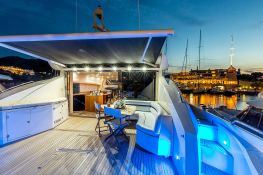 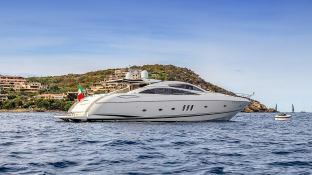 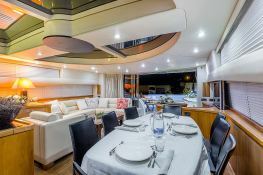 Sportiness and elegance with this Sunseeker Predator 82 based in Porto Cervo in Sardinia is an unforgettable experience. 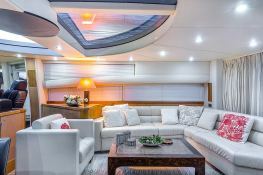 The outdoor areas are characterized by a large cockpit, two large comfortable sofas. 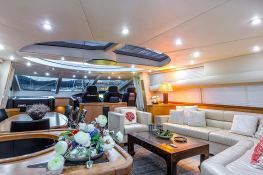 Inside a large bright lobby with sliding roof, waiting for dinner. 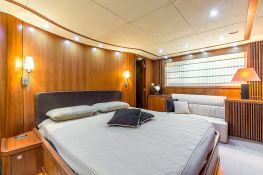 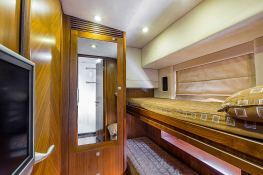 The large master cabin has a king size bed and a dressing room. 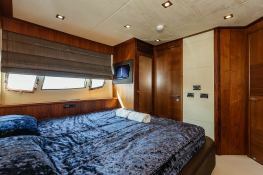 VIP cabin provides comfortable accommodation with a queen size bed. 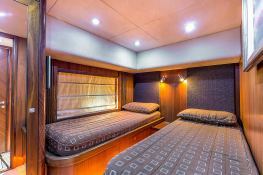 The two guest cabins are each equipped with two twin beds, bunk beds and the first, the second. 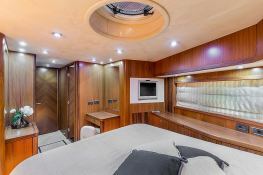 All cabins are equipped with bathroom with shower, and Sky TV. 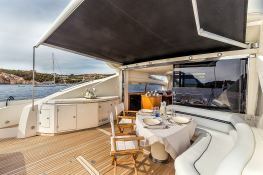 The Sunseeker Predator 82 departing from Porto Cervo will allow you to explore the wonders of Sardinia, Lavezzi and the islands of the Madeleine.This motoryacht is available for yacht charter with a base price of 36 000 € (approximatly 40 599 $).